After countless leaks, the Samsung Galaxy S8 and Galaxy S8+ were announced today. There aren’t really any surprises, but that doesn’t mean that Samsung isn’t still doing everything they can to push the smartphone industry forward with next-level tech and design. With these two phones, that’s exactly what we’ve got. Up front, you have a Galaxy S8 with a 5.8-inch QHD Super AMOLED “Infinity” display, while the Galaxy S8+ sports a 6.2-inch version. There are minimal bezels here, on-screen buttons, and Gorilla Glass 5. The design is quite stunning, even if we have seen it over and over again during the past few weeks. As for the other specs, you’ve got a Snapdragon 835 processor (10nm) in the US, 64GB storage (with microSD slot), 4GB RAM, 12MP Dual Pixel f/1.7 rear camera, 8MP f/1.7 front camera, USB Type-C ports, IP68 dust and water resistance, and fast wired and wireless charging. The S8 features a 3000mAh, while the S8+ has a 3500mAh cell. The full specs can be found here. Of course, specs aren’t the only thing to talk about here. Samsung includes Bixby, a virtual interface that will help you interact with your phone by voice. Only supported apps allow for Bixby interactions and those apps are the Camera, Contacts, Gallery, Messages, and Settings. You also get Samsung Pay, Samsung Health, and Samsung DeX, which is a desktop experience and dock for your Galaxy S8. 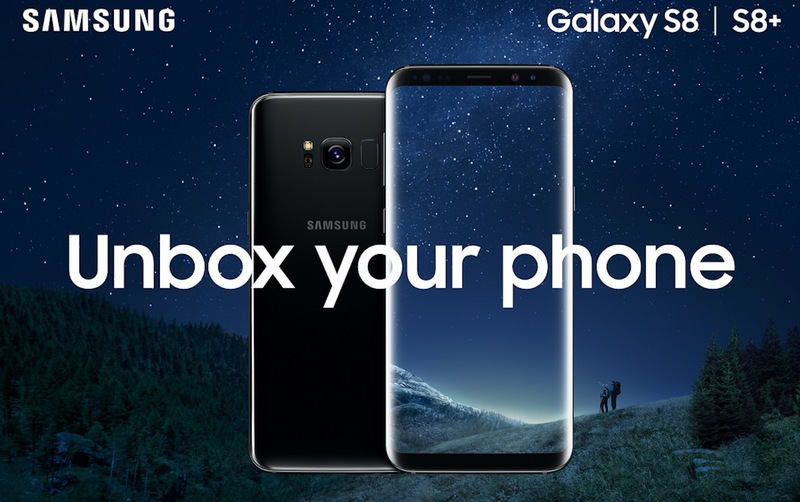 Finally, the Galaxy S8 will arrive in stores around the global on April 21 in Midnight Black, Orchid Gray, Arctic Silver, Coral Blue and Maple Gold.